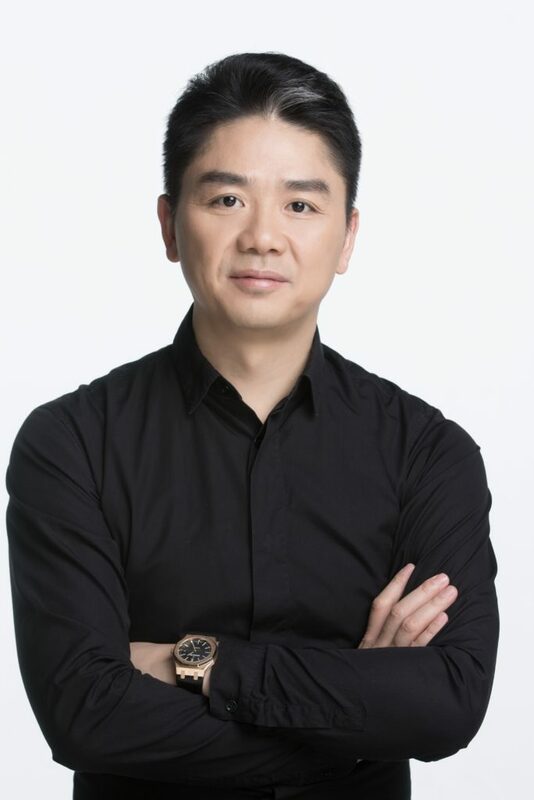 Richard Liu Qiangdong (Chinese: 刘强东), also known as Richard Liu, is a Chinese internet entrepreneur and founder of JD.com or Jingdong Mall, a leading e-commerce titan in China. Born March 10, 1973 in Suqian - an impoverished region of the Jiangsu province of China - Liu Qiangdong graduated the People's University of China with a degree in sociology in 1996 but spent most of his time learning about computer programming with an interest in the rise of the possibilities of the new internet. Liu went on to attend China Europe International Business School to earn his EMBA. Qiangdong has amassed meteoric wealth and success, spending his life's work transforming a chain of electronic stores to an online marketplace as JD.com has taken over as one of the top e-commerce sites in the world. As of January 2018, Liu's net worth reportedly rose to a staggering US $12.7 billion, and JD.com continues to surge in stock price as global partnerships with industry leaders like Walmart and Google propel the momentum of the Chinese giant. JD.com is compared in the United States to the trailblazing e-commerce website Amazon, and Richard Liu himself is often characterized with the same prominence of Amazon's enigmatic founder and billionaire, Jeff Bezos. Richard Liu started his own business, Jingdong, selling magneto-optical products such as CD ROMs in a Beijing storefront in 1998. His stores grew rapidly until 2003 - with 12 storefronts in Beijing and Shanghai - but the SARS outbreak in China stopped short his expansion plans and threatened the future of Jindong's growth. Liu began to muse about the possibility of an online business, as the number of internet users was steadily growing to reach around 1 billion users worldwide, and these early deliberations resulted in the first iterations of JD.com. The e-retail platform went online in 2004 selling mostly magneto-optical products but soon diversified to include electronics, mobile phones, computers and similar tech items. Liu changed the name to 360buy.com in 2007 and then to JD.com in 2013 - a purchase reported to have cost $5 million USD. JD.com is one of the two massive B2C online retailer giants in China by transaction volume and revenue, a member of the Fortune Global 500 and a major competitor to Alibaba-run Tmall. As of the first quarter of 2018, the platform has 301.8 million active users. JD.com is partly owned by Tencent, which has a 20% stake in the company. Since its inception, JD.com has evolved to become the world's leading company in high tech and AI distribution through drones, autonomous technology and robots, and possesses the largest drone delivery system, infrastructure and capability in the world. Richard Liu's JD.com is leading the industry in testing robotic delivery services, building drone delivery airports and operating driverless delivery - unveiling its first autonomous truck in May of 2018, joining a growing number of tech companies in China that are vying to replace humans behind the wheel with self-driving systems. The Beijing-based company began trading on the Nasdaq in the summer of 2014. By the end of 2017, JD.com had more than 220 million active customers and more than 150,000 employees with total revenues reaching almost $54 billion and an estimated worth over $58 billion. JD.com is China's second-largest e-commerce company by market capitalization, following the formidable Alibaba. An affiliate of JD.com called JD Finance, which was spun off from the e-commerce giant in 2017, has established the Smart City Research Institute at its headquarters in Nanjing, reported People's Daily September 28. The first regional headquarters for the company is poised to influence the region in reducing costs and efficiency tied with its supply and demand. The report states that the company is focusing primarily on: "Advanced Intelligent solutions in the areas of urban environment, transportation, planning, energy consumption, commerce, security, healthcare, credit cities and e-government." JD.com has formerly used blockchain technology in different aspects, from its logistics and supply to securities. In August, JD.com announced its initiatives in "Blockchain-as-a-Service" (BaaS) platform. The new tool, called JD Blockchain Open Platform, claims to enable businesses to build, host and implement blockchain solutions using JD's new technology.